As someone who works for a nonprofit, you know that the most important part of any nonprofit’s support system is its network of donors. Without your donors, your nonprofit wouldn’t have the financial support that it needs to keep going. Your donors are the fuel that keeps the mechanism of your nonprofit moving, from fundraising events to peer-to-peer fundraising campaigns to giving days. But how can you make sure that you’re communicating with your donors in a way that expresses your nonprofit’s appreciation for their support as well as your organization’s plans for the future? The key to strong donor relationships is creating a conversation between your organization and your donors. You want the connection between your supporters and your nonprofit to feel like a mutually supportive bond, not a business transaction. Segment your lists and adapt your strategies. Use easily readable text and prose. Connect with someone’s pre-existing values and experiences. Give your donors a job. Cultivate a community built on gratitude. By combining our strategies with your nonprofit’s own unique cause and personality, you’re sure to create stronger relationships with your donors and ensure your nonprofit’s ongoing success. 1. Segment your lists and adapt your strategies. You know that not everyone responds to the same communication tactics in the same way: for example, you wouldn’t talk to your best friend the same way you talk to your grandmother! Keeping this in mind, you should segment your donor lists and tailor your communication strategies in accordance with those lists. Donor segmentation is the practice of splitting your whole donor list into a series of smaller, more specialized lists based on different attributes. By splitting your donor list by any of the above categories or by any other, you can more easily target them with content that they’re interested in. For example, if you’ve used donor prospecting tools before, you can segment by any of the information you previously learned. For example, through your previous donor research, you might have learned that your donors also frequently give to political organizations. Invite them to be more involved in your next advocacy campaign! Use your CRM as a starting point. Your donors will appreciate that your organization cares enough about their support to keep track of their previous engagements with your nonprofit. 2. Use easily readable text and prose. This tip may seem strange or too obvious, but you’d be surprised at how important it is! If your donors can’t read or understand your emails or letters, they’re going to be put off. The first part of making sure your communications are readable is checking that your font is easily legible, and that it is printed at a reasonable size so that even those with worse eyesight can easily read it. Do some research into fonts and consider the different factors that influence legibility. Is my font legible both in print and online? Is my font appropriate for my audience? Is my font too distracting or difficult to read? Does this font include non-English letters, so that I can translate my communications into other languages? Next, consider the words you use in your nonprofit’s communications. Your communications should be written at around a sixth-grade vocabulary and using a friendly, conversational tone. This doesn’t mean that you should talk down to your donors or that they’re unintelligent: it just means that they’re probably using their brainpower for other things. If they have to work just to read your distributions, they’re less likely to read it. This suggestion also keeps you from accidentally using your nonprofit’s in-house jargon or abbreviations with your donors. Unless they’ve come across it in other parts of their lives, they probably don’t know what a CRM or CMS is, and they’ll feel excluded if they don’t know the terms that you use in your communications. Don’t forget that your communications have to be legible on different sizes of screens, as well as on paper! The massive popularity of accessing the internet via a smartphone, as well as the growing usage of mobile giving techniques like text-to-give campaigns, means that your nonprofit needs to consider how your messages look on phones and tablets as well as on desktops and paper. 3. Plan for ongoing communications. Your communication strategy shouldn’t be limited to just solicitations and thank-you letters! Your donors want to be a part of your organization. People want to feel like they’re part of a team, so make sure that you’re treating them like part of the team! Keep your donors in the loop by informing them about upcoming events, fundraisers, and volunteer opportunities. They also want to be informed about your current projects: AKA what their money allows your nonprofit to do! Distribute a newsletter or other monthly publication that details the projects that your nonprofit is undertaking, including key impact stats and provide regular updates. If you need more assistance with crafting the perfect email newsletter, check out this comprehensive list of tips from Snowball. Taking your donors’ suggestions is helpful for your nonprofit in two ways: first, it makes your donors feel like your nonprofit is listening and that it cares. Which, of course, it is and it does! But second, by taking your donors’ suggestions into consideration, you can strategically tweak your tactics in everything from event planning to volunteer opportunities to better suit your community, which will improve your fundraising strategy overall. Your communications with your donors should be a conversation, not a lecture. 4. Connect with someone’s pre-existing values and experiences. If you know what about your nonprofit encouraged someone to donate in the first place, you’ll be able to better connect with that person after the fact. Donating to a nonprofit is a very personal experience: people tend to donate to causes that are near and dear to their hearts. By learning what part of your mission drew your donor in, you can better tailor your communications to their passions and interests and keep them engaged. For example, are they passionate about charities that support children? Make sure that they’re kept up-to-date on everything that your nonprofit is doing that benefits the little ones in your community! If you don’t know what drove someone to donate to your nonprofit or get involved, don’t be afraid to reach out and ask. You could either email them and ask if they’d like to speak on the phone or meet in person, or catch them at your next event. What are the most important results you expect from our organization? Why does this cause matter to you, and why now in particular? These questions are very personal, and might require some time getting to know the donor first before you can ask, but their answers will help you build a stronger, more fulfilling relationship in the long run. One of the biggest motivators for donating, regardless of mission, is that people want to feel involved with something bigger than themselves. Through donating to a nonprofit, people connect with innumerable other like-minded people all striving towards a shared cause. Isn’t that why everyone gets involved with nonprofits? Keep your donors engaged by keeping them updated on the bigger picture of your nonprofit’s vision and goals. What accomplishments has your nonprofit achieved, and what will those accomplishments do in the future? Your donors want to see what little parts of the big picture your nonprofit is achieving. Speaking of pictures: the easiest way to remind donors of why they donate is to show them who they’re helping. Including people in your photos creates an emotional engagement between your community and your constituents. 6. Give your donors a job. 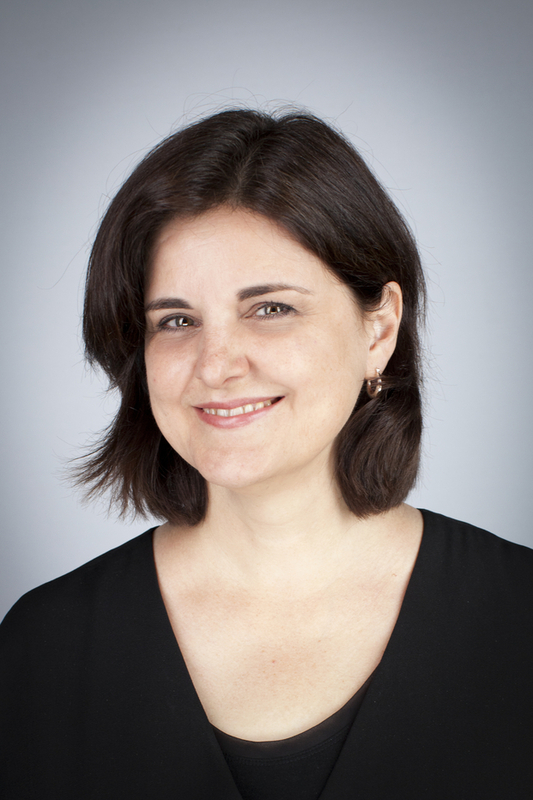 Your donors like to feel like an integral part of your nonprofit’s process, and they are! Use your communications to remind them of their importance to your nonprofit. When crafting your communications, especially ones that include direct asks, use language that gives your donors a job that only they can do. Their involvement in your nonprofit allows them the opportunity to do important and exclusive work for the good of your cause. This tactic works for every type of ask, whether it’s for financial assistance or extra hands during a volunteer day. Don’t just ask for help. Tell your donors what you need their help specifically for. If you’re still having a hard time learning about what drives your donors individually, check out Donorly’s guide to donor research to learn more about the process. These strategies are especially useful when researching prospective major donors. To make the most of this communication tactic, make sure to use “you” and “us” in abundance, in order to build a sense of teamwork and togetherness. Gather X number of volunteers for a specific event. Raise $X by a certain day for a specific project. Submit X number of matching gifts requests by a certain day. By making your donors feel like their contributions are important and necessary for your nonprofit, you can keep them engaged and improve your relationship with them. 7. Cultivate a community built on gratitude. We are sure you’re an old pro at writing thank-you notes to donors, but this point is important enough that it’s worth reiterating. Your nonprofit only succeeds because of the support of your community, so make sure your community feels your gratitude! You might also give your dedicated donors some goodies as a thank-you and encouragement to continue your engagement. Or consider giving them complimentary tickets to your next fundraising event, or presenting them with a gift basket from a charity auction! Your donors shouldn’t be the only people to feel the love, though: remind your staff members and your volunteers of how much your nonprofit appreciates all that they do for the organization. Building a culture of gratitude around everything that you do is a great way to increase engagement with your donors, your volunteers, and your staff members. It makes your nonprofit more human, more engaging , and makes people more dedicated to your mission. 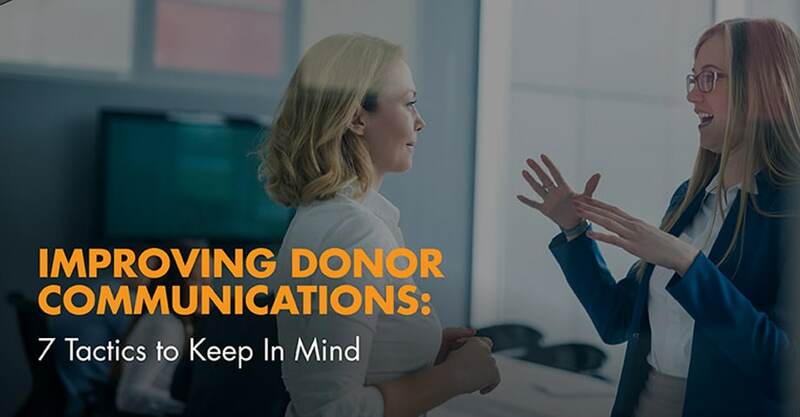 Now that you’ve learned our 7 best tips for improving donor communications, you’re sure to strengthen the bonds between your nonprofit and your donors and ensure your continued success.